A large number of Ghanaians and foreigners will have the opportunity to pay their last respects to the late President John Evans Atta Mills from Wednesday as the country commences an elaborate three-day state funeral. He will be laid in state at the Banquet Hall of the State House in Accra. The President died on Tuesday July 24, 2012. President John Dramani Mahama will be the first person to file past the casket, after which other dignitaries and the general public will have the opportunity to also file past the mortal remains of President Mills. Accra, the national capital; Ekumfi Otuam, the hometown of Professor Mills, and Cape Coast, where some of his siblings live, will be the nerve centres of wailing, as Ghanaians pay their last respects to the man whose death has united the nation in grief. The national capital is already draped in red and black colours, while flags still fly at half mast, and vehicular traffic begin to jam in many places as Accra screeches to a standstill for the funeral of President Mills. A number roads in the metropolis would be blocked to traffic. Being the first time such a calamitous event had befallen the nation and given the virtues of tolerance, humility and peace-mindedness he brought to the presidency, the funeral of Professor Mills is expected to be grand, massive and under very tight security. According to arrangements announced by the Funeral Planning Committee, the casket containing the body of President Mills would arrive at the Banquet Hall, State House at 8a.m. Wednesday, to be handed over to the family to perform some customary rites. The casket will then be opened at 11 a.m. for President John Mahama, Vice-President K. B. Amissah-Arthur, the wife, son and family of the late President, state officials, members of the Council of State and representatives of political parties to file past the body. Other dignitaries to file past the body are former presidents Jerry John Rawlings and John Agyekum Kufuor, the Speaker and leadership of Parliament, the Chief Justice and her delegation, Service Commanders and members of the Diplomatic Corps. Subsequently, the general public will have the chance to also view the body from 1 p.m. noon to 7 p.m, after which a night vigil of musical and cultural display will be staged at the fore court of the State House in memory of the late President, ending at midnight to climax the first day of funeral activities. On the second day, Thursday, August 9, 2012, the state funeral continues with the public viewing of the body from 6 a.m. at the Banquet Hall. 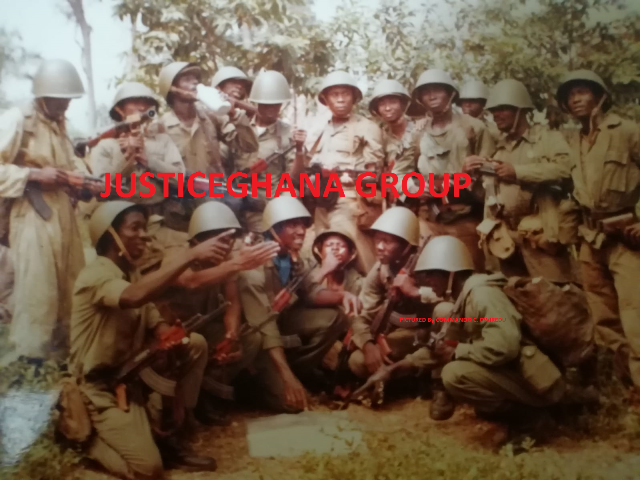 Arrangements have been made for special groups, such as the Ghana Bar Association, the University Teachers Association of Ghana, Old Achimotans Association and Old Hockey Players Association, all of which the late President belonged to, as well as traditional rulers to also file past the body on that day. According to the Chairman of the Funeral Planning Committee, Mr Kofi Totobi-Quakyi, efforts were also being made to facilitate the movement of persons with disability and other vulnerable groups to also file past the body. The evening of Thursday is dedicated to the reading of tributes and an all-night prayer service in memory of President Mills, while the cultural displays also continue. On the final day of the funeral on Friday, August 10, 2012, the body of the late President will be ushered into the hands of God at a church service at the Independence Square where the visiting Heads of State and international dignitaries will be invited to file past the body. Members of the general public are required to be seated in the stands at the Independence Square by 7:30 a.m. after which they would be closed, while invited guests are required to take their seats by 9 a.m. or remain outside the venue. After the funeral service, the casket containing the mortal remains of the late President will be driven through some principal streets of Accra. From the Independence Square, the Presidential Cortege will move left to the traffic light intersection near the Old Parliament House, then go right through the Movenpick Hotel to the African Liberation Circle, then go right again through the State House and International Conference Centre road to the traffic light intersection near the Osu Cemetery and turn right to the Independence Square. The late President will subsequently be interred at the Peace Park, a piece of land lying in the angle of the Castle Drive and the Marine Drive, near the Castle, Osu. Mr Totobi-Quakyi told journalists at a media briefing Tuesday that the family of the late President had requested for a private thanksgiving service that would be held in Cape Coast on Sunday. He said the funeral committee was in consultation with the family to observe the 40th day ceremony of the President’s death at Ekumfi Otuam. Mr Totobi-Quakyi said the Chief Imam would lead special Muslim prayers for the late President at the Abossey Okai Central Mosque in Accra, adding that the Islamic leader had also requested all mosques across the country to offer similar prayers. He dismissed media reports that the casket for the late President cost $75,000, in addition to huge sums of money being spent on the funeral, adding that the committee would reveal the cost involved at the end of the funeral. “In any case, President Mills will turn in his grave if we make a mortal mistake to spend that amount on his casket. He will resurrect the next day”, he said.